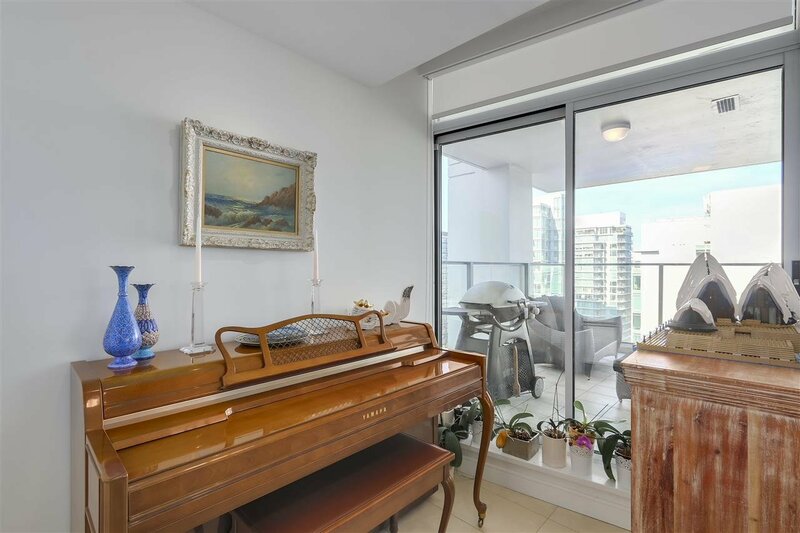 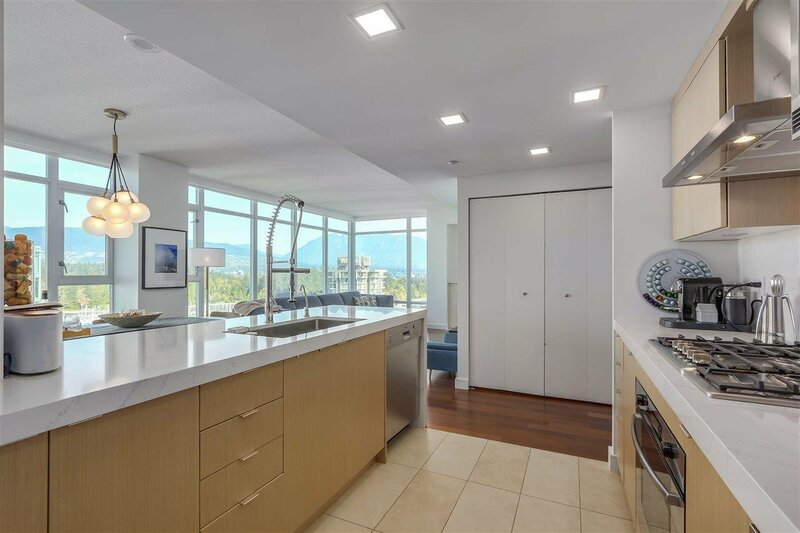 Fantastic NW views of Harbour, Bridge and mountains! 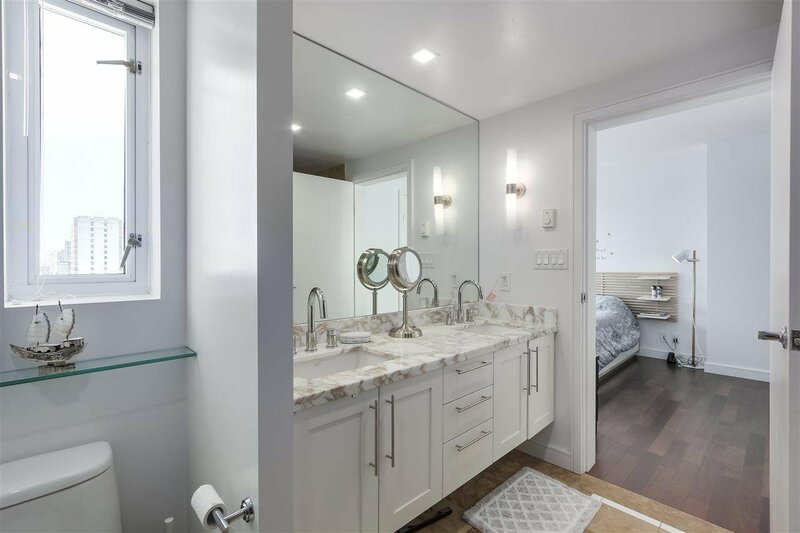 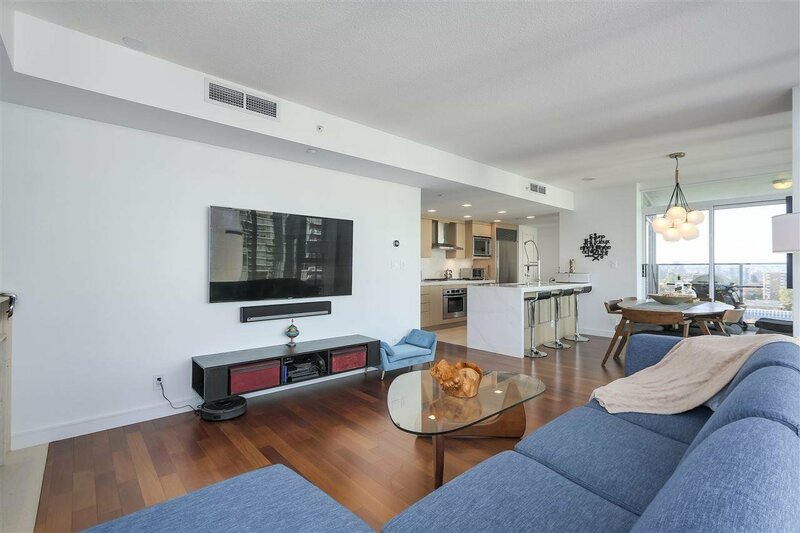 Fully renovated, A/C, 2 bed 2 bath with custom made office. 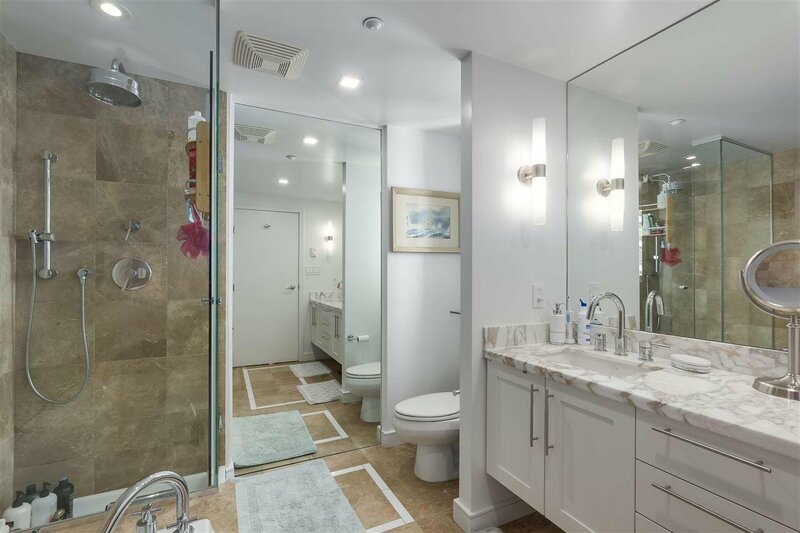 You will enjoy the view from every single room of this beautiful property. 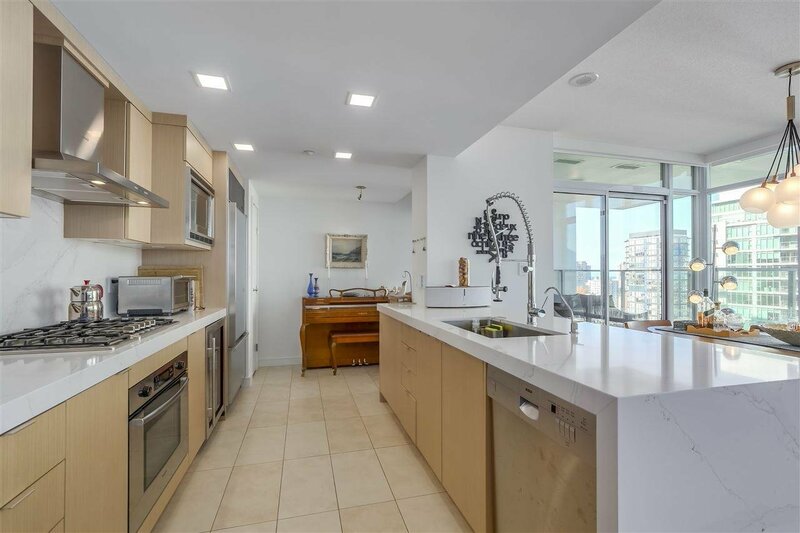 Recently renovated kitchen with top of the line appliances and huge counter top. 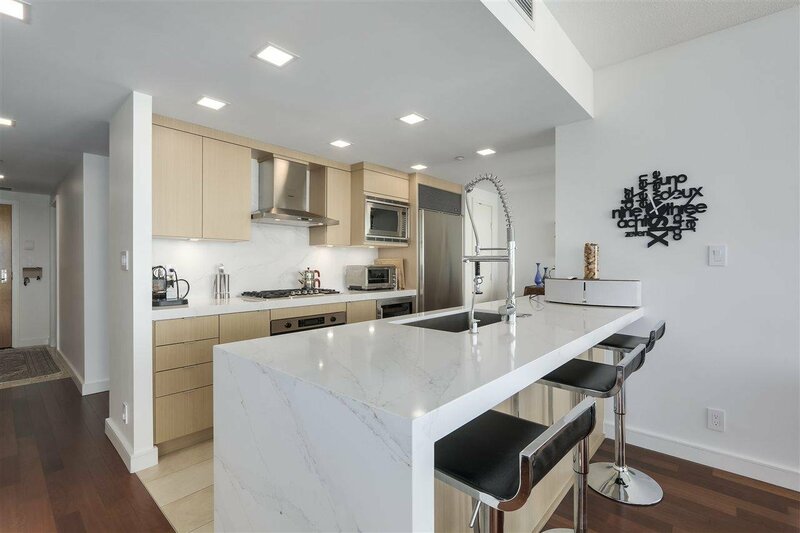 Subzero and Bosch appliances, gas cooktop and wine fridge and much more! 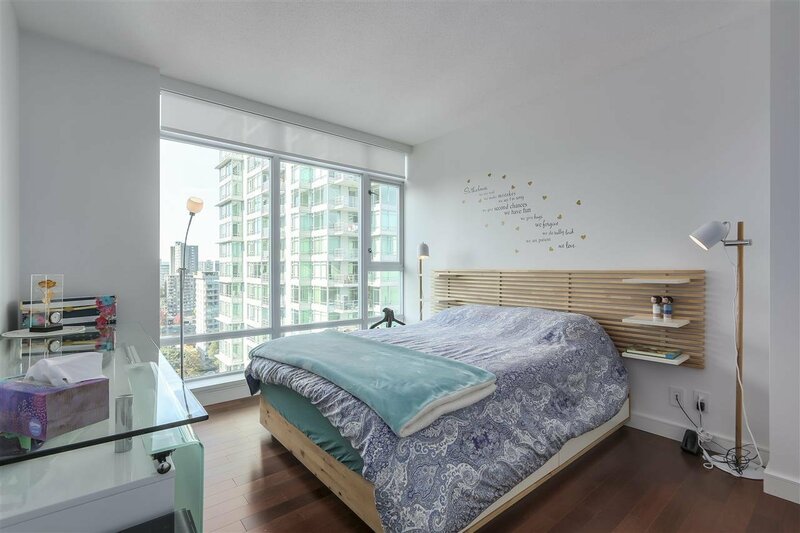 Spacious Master bedroom with walking closet and 5 piece ensuite. 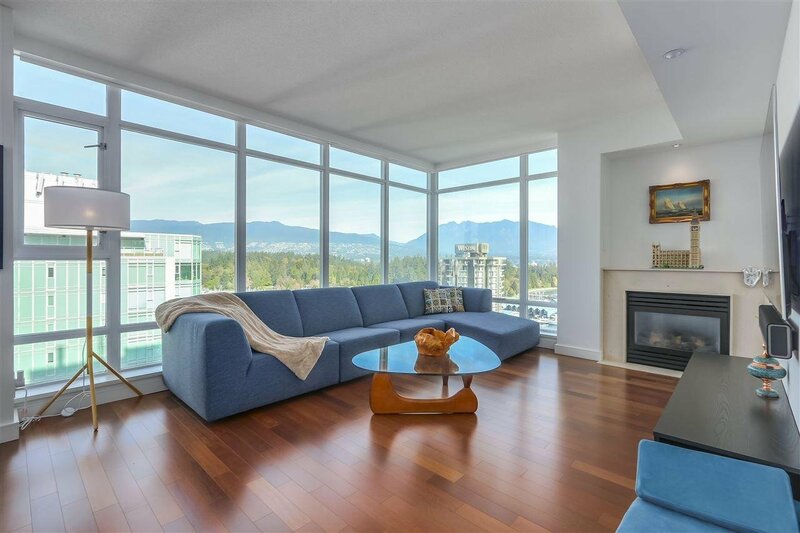 Engineered Hardwood flooring, massive size covered balcony with breathtaking views. 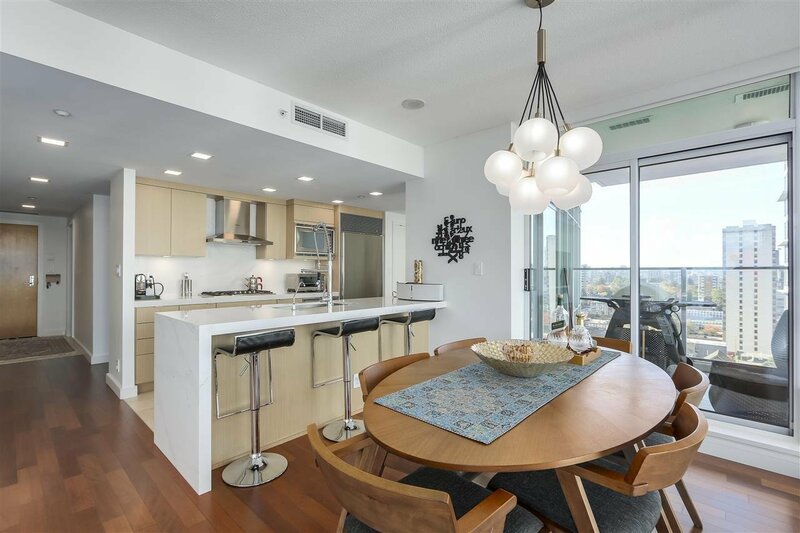 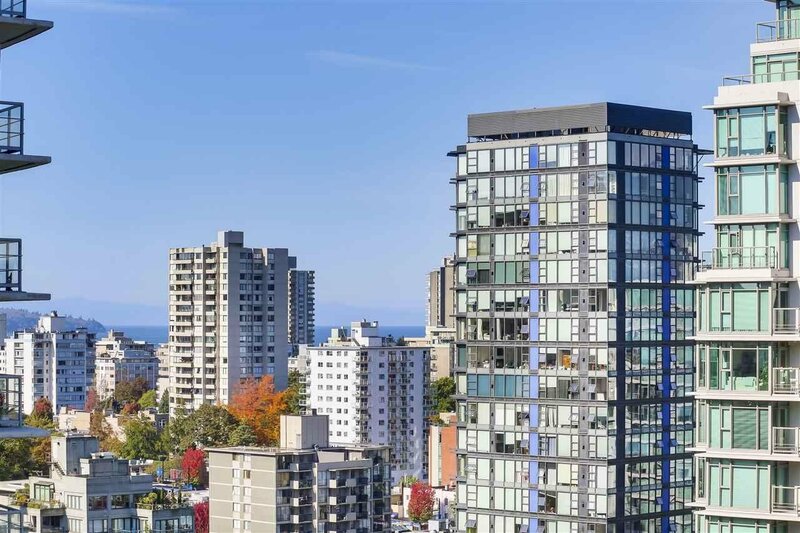 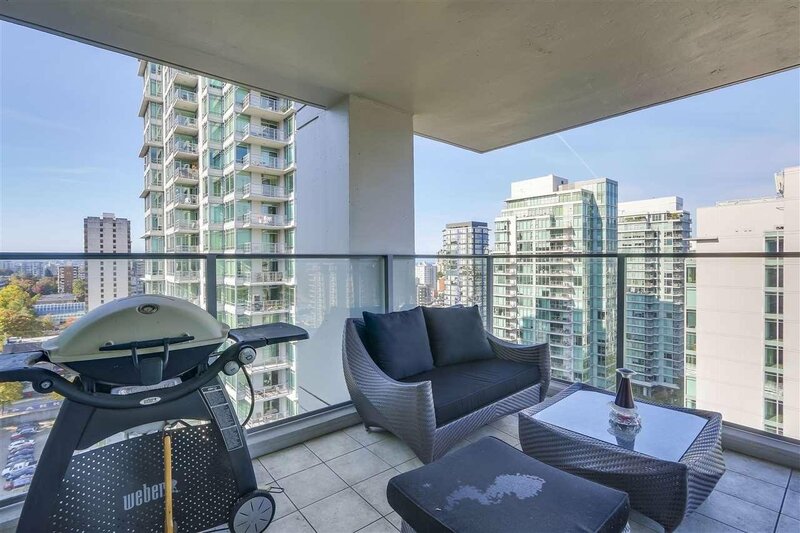 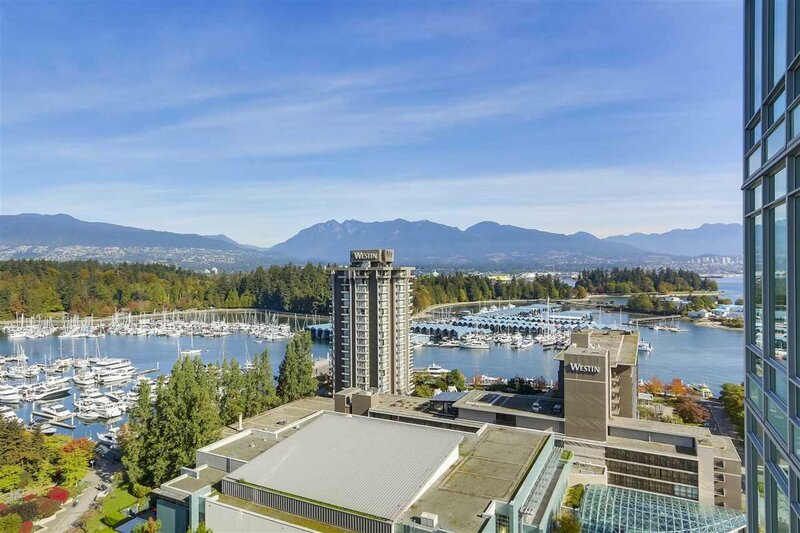 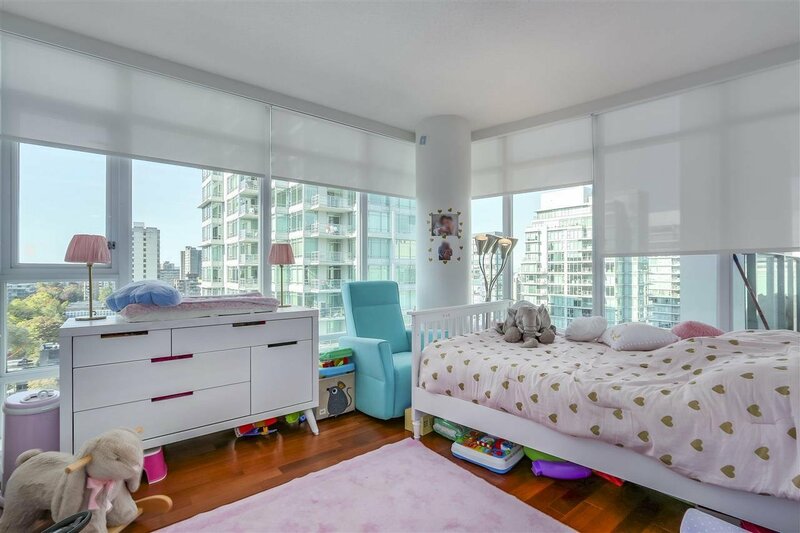 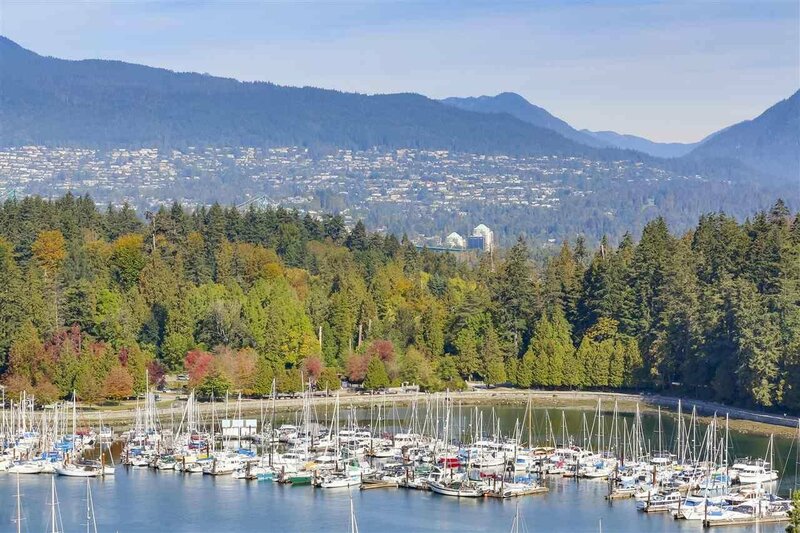 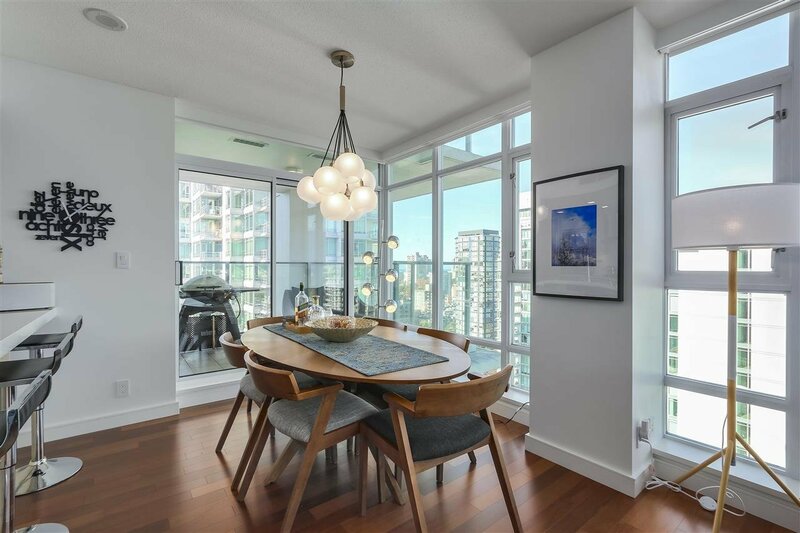 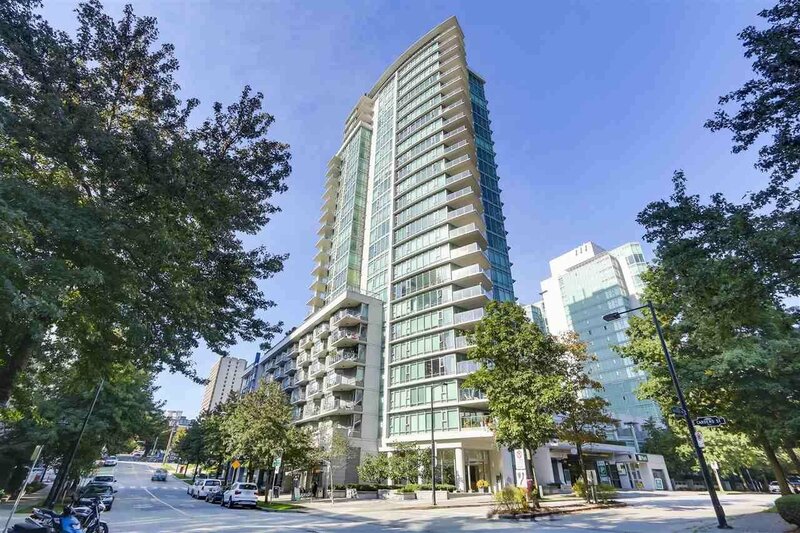 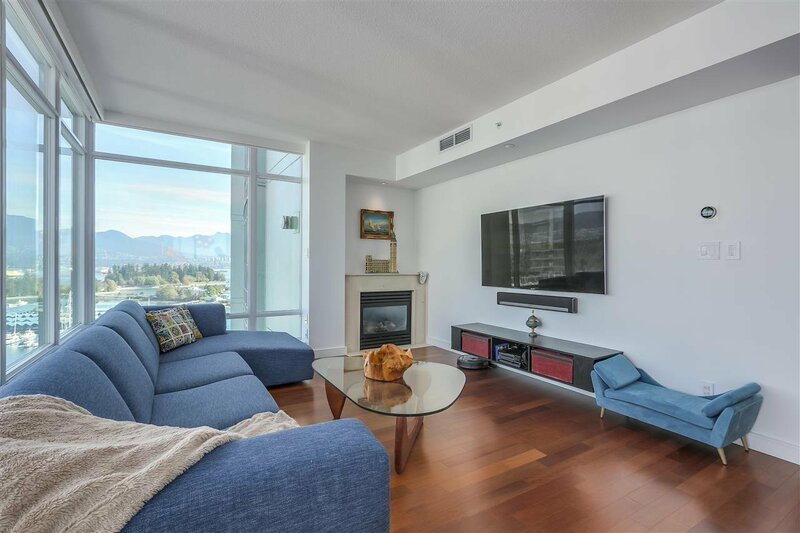 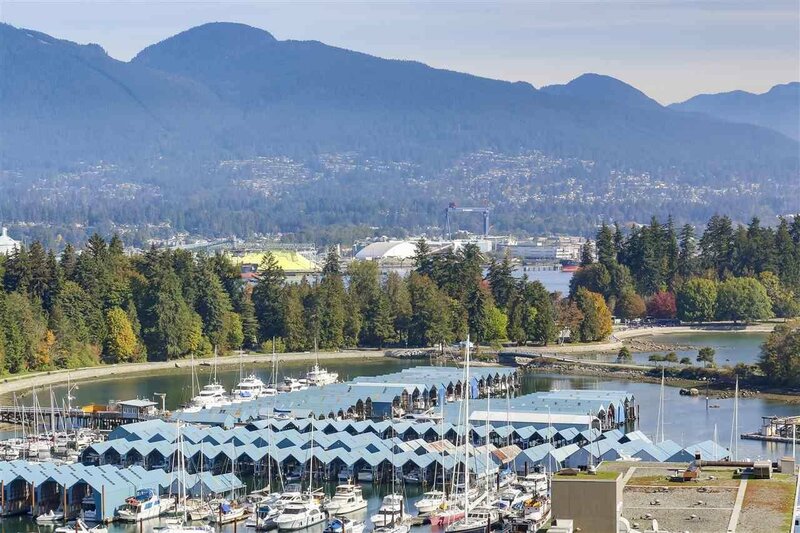 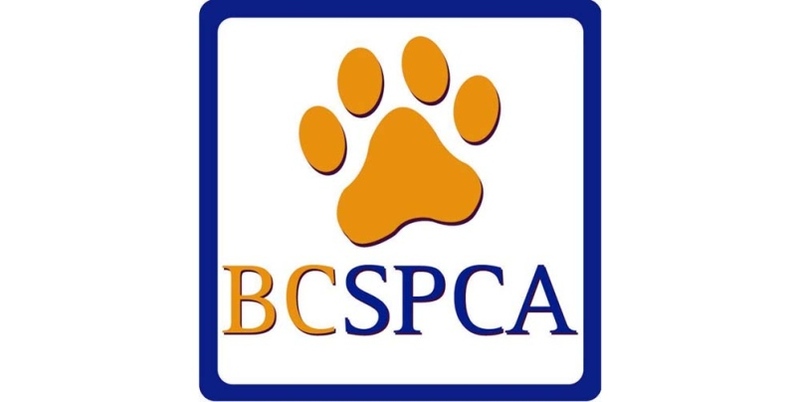 Just steps away to Stanley park, Robson, seawall, marina, shopping centres and much more.